Herbert Morrison’s dramatic narration of the newsreel of the Hindenburg disaster is probably the public’s most enduring memory of the crash. And perhaps the most misunderstood. Morrison’s commentary was not made for a newsreel, and theater audiences in 1937 never experienced his words and the film together; Morrison was a radio reporter and his words were not paired with the film footage until decades later. No radio listener heard Morrison describe the crash as it happened, as some people claim to remember; his report was not broadcast live. People think Morrison had a high-pitched, squeaky voice; he had the rich mellow tones of a radio announcer. Posterity remembers Morrison for a few seconds of panic and crying; in fact, he regained his calm within moments and recorded almost 37 minutes of information about the crash with professionalism and accuracy. 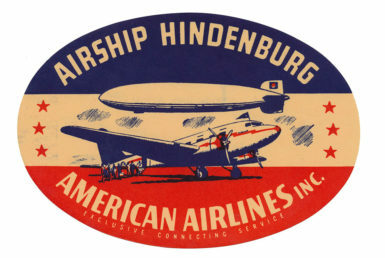 Herbert Morrison was invited to fly to Lakehurst by American Airlines, which offered a connecting airline service with Hindenburg. Morrison, a 31-year old reporter for WLS Radio in Chicago, had a personal interest in aviation and was a pilot himself, having learned to fly in 1929. He became acquainted with officials of American Airlines while covering flooding in the Ohio and Mississippi valleys by air in early 1937, and the airline suggested that Morrison fly to Lakehurst in one of their “Flagship Club Planes” to cover Hindenburg’s first American landing of the 1937 season. 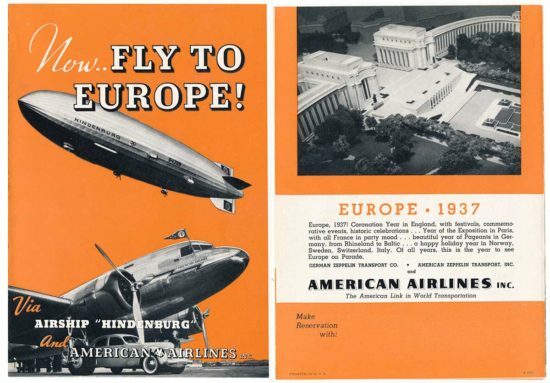 And incidentally, American Airlines is the only airline in the United States which makes connections with the Hindenburg. Morrison’s commentary was recorded by Nehlsen on a Presto Direct Disc recorder that included an amplifier, a large turntable, and a heavy-duty lathe that cut his commentary into four 16-inch Presto Green Seal lacquer discs. A few hours after the crash Morrison and Nehlsen hurried to Chicago by air with the four discs, leaving their heavy equipment behind in Lakehurst. Morrison’s words were broadcast the next day on WLS in Chicago, and an excerpt was aired on the NBC Red network that morning and on NBC Blue that afternoon. It was the first time a recording was ever broadcast on NBC, which had a policy against broadcasting recorded information that lasted until World War II. 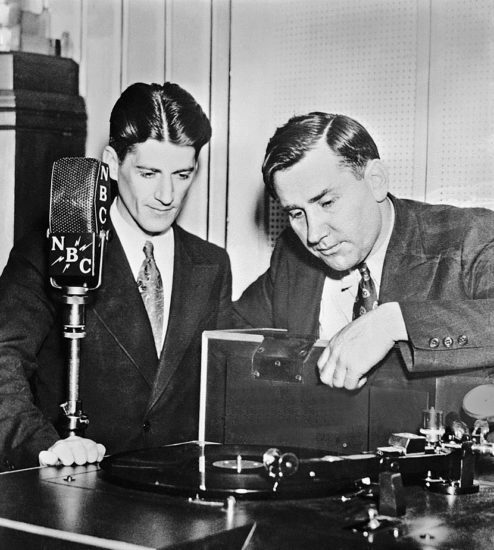 Much of our knowledge about the Morrison/Nehlsen recording is due the scholarship of Dr. Michael Biel, Professor of Radio-TV at Morehead State University, who thoroughly researched the history and technical details of the recording. Dr. Biel also studied the original disks themselves and paid particular attention to the moment Hindenburg ignited, where the disk shows evidence of the force of the event; just after Morrison’s words “It burst into flame…” Biel observed several deep digs caused by the shock wave, followed by a faint groove for about two revolutions where Nehlsen gently lowered the cutting head back onto the disk. Morrison’s description of the Hindenburg crash is one of the best known news broadcasts of all time, but while he will forever be known by those famous few seconds, they are not a fair memorial to the man. Even the way we remember Morrison’s voice is unfair to a man who spent his career as a professional radio announcer: the high-pitched voice we have all heard saying “Oh the humanity” is not how Morrison really sounded. Morrison’s full report is much longer than the short, tearful excerpt most people have heard, and while Morrison was understandably shocked by the sudden destruction of the giant airship, he regained his composure within moments and recorded about 37 minutes of commentary over the two hours following the crash. Morrison did his job well, calmly investigating the unfolding situation and reporting what he learned with professionalism and accuracy. 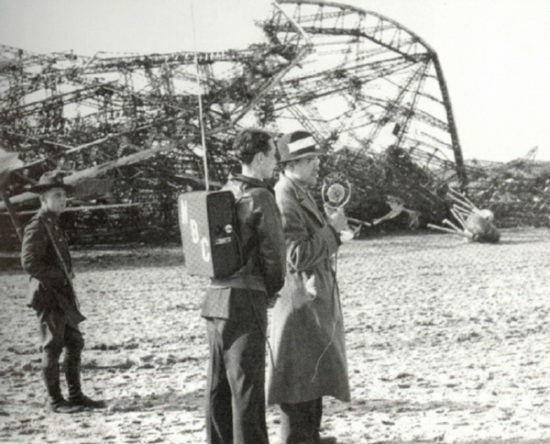 He interviewed witnesses, described details of the accident, and identified by name some of the people who survived the initial crash, including passengers Philip Mangone, Herbert O’Laughlin, Nelson Morris, and the three Doehner children, as well as Captains Lehmann and Pruss, steward Max Henneberg, and radio operator Egon Schweikard. Morrison even interviewed surviving passenger Otto Clemens, who described the crash and his escape in German. And while early news reports of air crashes are infamous for their inaccuracy even today, Morrison accurately described the facts that were known and even explained that the crash may have been caused by static electricity in the air as a result of the day’s thunderstorm activity, which later emerged as the most likely cause of the accident. Morrison served in the Army Air Corps during World War II and became a radio reporter and the first news director at WTAE-TV in Pittsburgh. He ran for Congress three times as a Pennsylvania Republican during in the 1950s. Morrison died at the age of 83 on January 11, 1989, in a nursing home in Morgantown, West Virginia.